We made every one of out sorbet with the water and then taste tested against the current ones. The difference to me as a chef was evident and really exciting. All of the sorbets tasted cleaner, fresher and full of even more flavour which really excited me! So really it was an easy decision. The cost is minimal but the end result is sublime and well worth it! So as of this week all our sorbet is made with Southdown’s Water! This entry was posted on Thursday, March 5th, 2015 at 4:33 pm by SICC and is filed under News & Events. Well we never?! Who’d have thought we would be lucky enough to partner with such a super local company, and assist them in launching clean, pure, refreshing tasting sorbets with a double local twist! 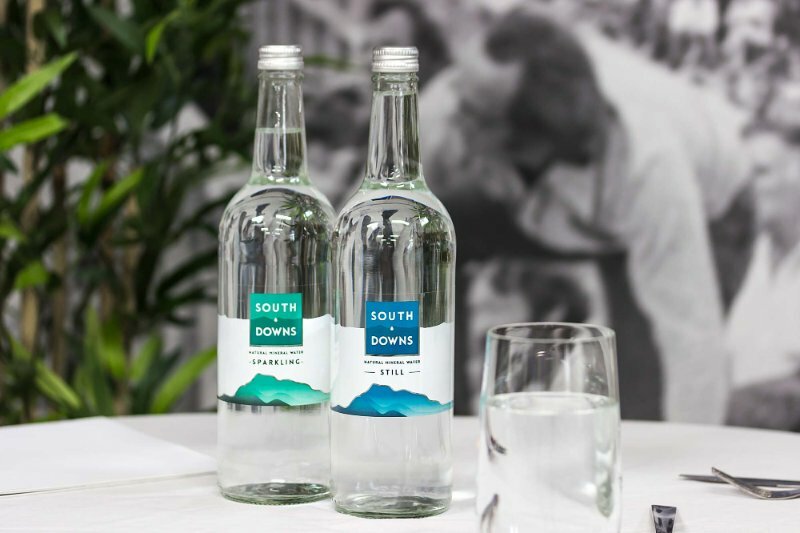 Our Natural Mineral Water is naturally filtered through the Chalks of the South Downs giving it a high calcium content. A low Sodium content, also gives the taste a less salty vibe! Perfect. Sussex Ice Cream Company, we look forward to an exciting first year with you.